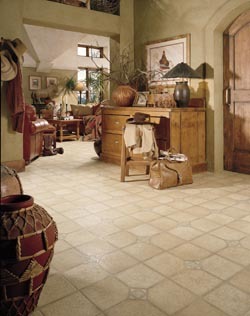 Upgrade the value and appeal of your home with our expansive selection of luxury vinyl tile in Little Rock, AR. Arnold’s Flooring America offers you a cost-effective alternative to the fading and worn flooring you have been living with for years. Luxury vinyl tile provides you with a broad array of options that match perfectly with a wide range of interior design plans. Each and every room in your home can look as good as new and our flooring will be sure to impress any guest you invite over for a visit. Choose the right flooring for your home and lifestyle by visiting our location and speaking to one of our friendly design specialists. We listen to your needs, and get a better understanding of your lifestyle so we can match you with the most appropriate flooring for you. Get the resilient flooring that fits your lifestyle when you work with our knowledgeable sales associates. If you have a busy family with kids and pets, you need strong floors that can withstand the scratches and stains you experience every day. With lasting color and a durable finish, it is no wonder that families across our area are choosing the resilient flooring we offer. Vinyl tile and plank flooring are engineered to retain their appearance for years to come. Invest in flooring that can help you entice new customers to your business. New floors can make a great first impression when potential clients visit your location. With modernized flooring in your business, your employees will look forward to coming to work again. Start enjoying your home life and stop wasting endless hours cleaning your floors. With luxury vinyl floor tile, you get a stunning look that features easy maintenance that you will appreciate. If the health of your family is important to you, then luxury vinyl floor tile is the answer. Luxury vinyl floor tile is also easier to replace when damaged. Instead of removing the entire surface, you have the option to replace the flooring one tile at a time. This gives you the durability that comes from modern innovation with a look that makes a statement about your appreciation of style and substance. With the toll that moisture and temperature changes can exact on hardwood floors, this type of flooring is not always the best choice for every room. But with luxury plank flooring you can have the warmth and charm of hardwood in any room you love. Made from pressed wood products, luxury plank flooring is an attractive style of flooring that can deliver an exceptional look for basements and kitchens. It looks as good as natural wood, and provides a more appropriate fit for a wider range of rooms in your home. Protect the investment you are making in the value of your home by entrusting our team of luxury vinyl tile installation specialists with your new flooring. They have the right tools and the years of experience needed to get the best fit in any room you own. With competitive pricing and a personalized approach, our luxury vinyl tile installation makes sense for you. You save yourself from needless repair costs down the road, and you get a surface that will look amazing for years to come. Contact us today for a free estimate on the new luxury vinyl tile you need to restore the look of your home. We proudly serve the communities of Little Rock, North Little Rock, Benton, Maumelle, and Conway, AR.